How do you know if they are going to perform on your roof? There are a bewildering array of solar panel brands out there. 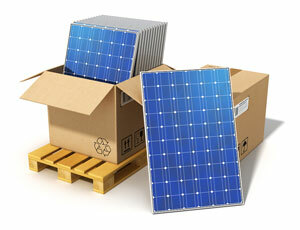 How do you sort the wheat from the solar chaff and be sure you are getting the best solar panels for your roof? My advice is go thru the spec sheet for each panel and judge them on the following criteria. If you haven’t got a spec sheet, then get another quote! If the spec sheet combined with the quote doesn’t have the answers, call up the solar supplier and ask. If they don’t know the answers, that’s a bad sign. Typical prices for solar power systems of different kW sizes are shown here. If the cost of your quotes solar system is substantially less, then make sure you are getting a bargain, not a liability by reading this post about the perils of cheap solar panels. If the price is much more expensive than those show, then either you have a particularly difficult install, or you are paying too much. Get multiple quotes to check which is the case. Do a quick Google of the manufacturer – What’s their website like? Is there a “warranty” section? Is there an Australian office? How long have they been around? Has anyone had any bad experiences with them on the forums? Is it a mono crystalline, multi crystalline or thin film solar panel, or some wacky new technology? The types of solar panels and their pros and cons are discussed here. Make sure you are happy with the technology that you choose. Unless you have a huge roof, you probably want an efficiency of at least 12%. Otherwise if you ever want to upgrade in the future, you’ll probably struggle to find any roof space left over. However don’t fall into the trap of believing that efficiency is the be all and end all of solar panel quality. You can get great quality panels at the lower end of the efficiency scale. There’s an in depth discussion on solar panel efficiency, when it matters and when it doesn’t here. This is the amount that the actual power output of your solar panel can vary from the output specified by the supplier. For example a 165W module with a tolerance of +/- 5% could actually produce from 156.75W up to 173.25W. So be aware of this number, as it will directly affect the amount of power you can get. The best solar panels have a “positive only” power tolerance, which means you are guaranteed to get at least the specified output from the panel and usually more. For example: a 200W solar panel with a tolerance of +5%/-0% will produce a minimum of 200W and a maximum of 210W. The aluminum frame which goes around the solar panel is a good indicator of the overall quality of the solar panel’s manufacture. Look at the corners. Are they tidy joins? Are they anodized after the cut, or before. Anodizing after the cut is more time consuming, but means that the 45 degree edge is anodized too, helping protect from corrosion. Are the panels glued (bad), screwed or welded at the corners. All solar panels have a plastic backsheet glued on the the back of the panel to protect the solar cells. A flimsy backsheet with any air bubbles or signs of coming unstuck is a sign of a crappy panel. If your panel is mono or multi crystalline then these are a must. They are diodes that cost a few cents each and are put across neighboring of cells inside the solar panel. If you don’t have bypass diodes then a small shadow on a tiny part of your solar panel can stop the entire panel from making electricity. This is especially important in sunny Australia! The temperature coefficient is a number that describes how well the panel handles hot temperatures – where hot is defined as greater that 25 degrees Celsius. The lower this number, the better. A high temperature coefficient is a sign of a crappy panel. A reasonable number is about 0.5%. The best solar panels get this down to 0.3% and that is the sign of an excellent panel. Over 0.7% is a warning sign. Have you ever heard of 240Watt Sunlink SL220-20M solar PV panels – a chinese brand which are said to be ok? Wondering you thoughts. never heard of them – sorry! I live in Holland, and here are very common these pannels. Sunlink pannels are very good with a good price. hi can u tell me if the 205w trina is a good one or is the sunny roo (srp) 250w a better buy. I have signed up for the sunny roo and asked all the things you have said to and it seemed ok, they have now rang me (green engineering) and said they cant get the sunny roo for about 4 to 6 months but they can offer me the trina at the same price and be at my place in 3 days time, when i asked what model he said he didnt know but it was the 205w one and for me to look it up, he said they r about the same and if i want i can wait the 4 months or get the trina now. Is it just as good or should i wait? I know trina is a good brand and it costs more than the sunny roo (they wont be charging me more, they have offered it at the same price as the sunny roo) but is the 205w one ok? what is the differece between them? and should i take the trina or wait for sunny roo. my place is a normal job on a tiled roof north west facing. Trina panels are excellent, they consistently perform well in tests and are a very strong brand. If you can get Trina Solar Panels at the same price as the Sunny Roo I’d go for the Trina. Conergy are excellent panels, but the only caution I would have is that there have been various reports around questioning the financial stability of the company, so make sure your warranty will still be covered if Conergy are not around to cover it! Well done… I will recommend your site. We are about to purchase a system for home and I am confident you have armed me with all I’ll need to get the right system for the funds we have. I’ll be sure to seek your guidance should I get stumped by eager suppliers.. Not likely.. Now! Are Lightway panels and lightway solar the same comany? Are Lightway 235kw(21 panels) with a Delta Solivia 5kw inverter a good buy for 4.935kw priced at $13020.00? No – I think the solar installers “Lightway Solar” are different to the Lightway that distribute light way solar panels. From what I’ve heard lightway panels are pretty good. As with all panels make sure you get a 10 year manufacturers defects warranty (more important than the 25 year power output warranty), and that they are from an Australian based wholesaler and you should be covered if anything goes wrong in the next 10 years! Delta inverters are good, they are not the most efficient (you can find inverters 1 or 2% more efficient) but the Deltas do have a reputation for reliability which I would argue is the most important trait of an inverter as even a top of the range inverter is the most likely component to fail in a solar system. Those 3 panel manufacturers all get about 15.4% module efficiency from their 250W solar panels. Suntech are the longest standing brand out of the 3 – so it could be argued that they are the lower risk option. But you’ll probably pay a bit more for them. If you search for the brands on my solar panel comparison tool you’ll see that they all get about 90% performance ratios (independently tested). Which means you can expect to get 90% of the specified power out of them when they are on your roof. So basically there is very little in it apart from the “brand reputation” of Suntech. All 3 panels get a 10 year manufacturers warranty (most important) and 25 year performance warranty, just make sure the ones you buy are backed by an Australian wholesaler/distributor. IN terms of Aurora/SMA. SMA would be my choice if pushed – although they are both good, longstanding brands. Expect to pay about $500 more for the SMA 5kW Inverter over the Aurora. Can you advise on the company Solar Essence – they were recommended by another on line site. They are coming to quote next week. Thanaks for dropping by! Solar Essence are good guys – highly recommended! See here for uncensored Solar Essence Reviews by their previous customers. Hi, still wading through the solar mire. What are your thoughts about Sunpower panels? I am from Queensland and am told that the poly panels work best in the extreme heat. Is that correct? We are also trying to decide between CSUN panels and the new Trinar Solar Honey TSM-250PC05A panels? Price being equal, I’d choose Aurora and Trina. Aurora because they have been in the game longer than Samil and therefore have a longer history to judge their reliability by. They are very reliable inverters. Samil are good : http://www.solarquotes.com.au/blog/samil-inverter-review-german-magazine-gives-top-marks/ – and have great backup in Australia if anything goes wrong – but if you forced me to choose, I’d go Aurora. CSun are pretty good these days – but I’ve more experience of Trina, and I like their panels – so I’d personally plump for Trina if forced to choose. Do you know anything about Green Engineering? They are almost half the price of Sky Power for a bigger unit – German Polycrystalline model and offering 25 years guarantee on panels & 10 years on inverter. Also the guy from Jim’s Solar did not turn up for appointment & no email received after visit from Skypower – very disappointing. Yes I know about Green Engineering. I think they’ll struggle to install high quality hardware matched with good customer service at their prices. You get what you pay for! We are interested in solar panels to install on our roof then a company came in and told us that we can install solar panels without replacing our meter box (it’s an analog one! 3 phases) we are living in WA and looking for a 3 KW inverter DELTA 2.5 or EFFEKTA with TRINA solar or SUNTECH solar panel. My question is will this work ?And are we in the obligation to change our meter box or not ? Which inverter do you think will be the better one ? As far as I am aware – if you get solar and don’t upgrade to a new meter you are in breach of your agreement with the energy retailer (and possibly the law?). Who told you this was OK? I have a quote from TVS for a2 kw system using Sunowe panels. Cost $4450 for 11 panels . Is this a fair deal or not..David M ilne. Hi Finn Just wondering whether you have an opinion on SUNTECH PV PANELS 190 WATT MONO- CRYSTALLINE. 10 YEAR FACTORY WARRANTY and also SMA 5000 INVERTER 5 YEAR FACTORY WARRANTY. Are the warranty times long enough. Is a two year workmanship warranty acceptable. Hi Finn just wondering what your thoughts were on Eurosolar, and the Amerisolar 250W panels that they use ..just got a quote for a 5kw Delta inverter and 16 250w panels on a 2 story house with a flat tin roof for $8990…that also includes supply and install of a meter box and stands for panels to…Is this a good price??? It a good price for 5kW and a good inverter. I’m not familiar with those panels – so can’t comment on the system as a whole! Hope to hear back soon Cheers Ian. Hi, we have just a had 22 Lightway panels and a Macsolar 5kw Inverter delivered today (30/6/12), to be installed on Monday. Our order was meant to include a Delta inverter not Macsolar. Should we persist with them to get a Delta. From what I’ve read Delta are very good. I can’t find much info on Macsolar. Don’t know why the change. have not been able to contact the business we are dealing with. I’m not familiar with those inverters – sorry! I did a quick search of the industry test results that I have and couldn’t find Macsolar in there. I’d personally demand a Delta unless they can prove the Macsolars are as good. After your push to the 3x Companies for a quote (from your recommendation in south australia) to break their silence and get in touch with me for a quote after a week of silence I finally received one!…”Solar 2000″ who emailed a Quote after they spoke to me on the phone. The quote had very little information attached (especially strange when you consider I had some curly questions he could not answe over the phoner and was going to get one of his staff members to ring me back with some answers before a quote could be created. However, put all that a side…. do you think the price of $11600.00 for : 20x Suntech Panels (250 watts per panel = 5KW), 1x SMA SB5000TL Inverter,Panel Manufacturer Warranty 10 years,Of course 25 years performance and only 5 years Manufacturers Warranty on the SMA Inverter is a good price? There was No information about Meter installation costs or by whom or who’s responsibility, Isolation Circuit breaker or the option possibilities I discussed on the phone regarding location issues…..etc,etc. So therefore, before I respond to this” emailed quote” I thought I would email you and hopefully receive some advice Finn. Had a price from True Value Solar for 8 Sunowe or Renesola panels with a 3kw Growatt Invertor installed with tilt brackets on single story for $2313 is this a good price? No – because you are only getting 1.5kW of panels! $16,000 is that good or too dear. Seems very expensive… Get a couple more quotes before you decide. I’d go SMA over blueline – because I know SMAs but I’ve no experience of blueline. CSun bought CEEG, but they are not related to Suntech. Hi I was just curious how your panels are going? I’m about to take the solar leap and will be getting Csun panels. Any help would be much appreciated. i am looking at using 250w Aide Solar panels in my 5kw system, can you tell me if they are ok. They meet all your quality/perormane recommendations but I dont no much about the company or how popular the panels are. They sell a lot in USA and Europe. I am looking into solar, 5Kw is what i will probably need, i have had a few quotes all of which seam to have good panels according to all the good info you supply, there is one qoute i have had that is quide different, they claim to have the latest and greates tech the will do all the ground work installing, doing paperwork and organising inspections, all i have to do is make a deal with the supplier company. They are Blue line, sold in Vic by United, they supply a German manafactured panel and an Israle inverter, there seam to be lots of bells and whistles and garantee 19Kwh per day over 30 days on a 5kw unit with 25 panels, do you think this would be worth paying $20K for over other competitors whose equipment may or may not be quite as good. Thanks. Seems very expensive. Even if the hardware is out-of-this world performance wise – you are unlikely to get more than 10% extra power compared to “regular” PV. A good 5kW system will average 18kWh per day in Melbourne. These guys promise 20kWh. So over 1 year (if they are right) you will get an extra 730kWh of electricity. At 25c per kWh that is $182 per year extra revenue. If you are paying $8k more for your system, the simple payback is 44 years for the extra dosh. Doesn’t sound like a very good deal to me. We are looking at getting a 5KW inverter (SMA) with phono panels (mono). We are looking at $13K fully installed. Are the phono panels ok? We also looked at Trina ones (poly) but had it implied (but not stated so not sure how true it is) that they might be liquidating and there might be risk re: warranties etc.? Hi Kirsty, impossible to comment on panels without knowing the brand. One piece of advice that I would give is don’t give your business to the salesperson who lied about Trina. Trina are great panels and a strong company. Almost all solar panel companies are losing money at the moment, so his comments are ridiculous. I don’t have any experience of Renesolar panels – but I think they’re OK from what I’ve heard. SMA are obviously very good inverters. I’m not a huge fan of True Value Solar because of their practice of advertising huge inverters with a small amount of panels. I think that’s unethical (and so did the ACCC!). And I’ve had a lot of calls from confused pensioners, who have fallen for it. That makes me sad and angry. I assume you are getting 5kW of panels with your system? Just asking! Also be sure that you don’t have to pay $200 every 2 years for a ‘service call’ to keep your warranty valid! Make sure you get a 10 year manufacturers defects warranty (more important than the 25 year power output warranty), and that they are from an Australian based wholesaler and you should be covered if anything goes wrong in the next 10 years! Samil Inverters are one of the better Chinese inverters out there. But get a 10 year inverter warranty as no matter what inverter you get – it is the most likely component to fail. $6k seems very cheap – make sure the company is using an installer with a good reputation and uses good Balance of System components. Get it swapped out with a Delta – they are bulletproof! Which solar company is giving you grief? I have had 4 quotes for a 2kw solar system but can’t decide which quote to go for, wondering what you thought. I have received a quote from EuroSolar for 12 x 250W Amerisolar Panels with a 3kW Delta Inverter for $4,600. Or a quote from Infinite Energy offer 12 x 250W REC Solar Panels with a 3.0kW Aurora inverter for 5,700? The prices seems like quite different for very similar systems and I would appreciate your opinion! I have a quote for a 5kw system with SMA 5000TL-20 with 20 x Suntech STP250S for 10,990 for a 2 story house and tilt frames required. Is this reasonable? Also another party told me that Suntech were in receivership and that American and Danish panel provide a better efficiency – from my research I could not see this and thought the Suntech efficiency was quite good. 12 x 250W (3KW) Musterland panels and 1 x 5KW SMA Sunny Boy 5000TL inverter. Does this sound like a good combination? Do you know much about the Musterland product? ReneSola panels are OK too – but be careful which company installs them! If it is True Value Solar then check that they aren’t going to charge a $200 per year “service charge” to keep the installation warranty valid! Sunowe is not a brand I’m familiar with. I got quote with solar consultants with STS(Five star Energy) solar panels with AURORA or SMA inverter? Now, The company is silver rated on your site but I can not find any reviews for solar panels? Can you put some lights on it? Hi Finn, I have received a quote from ‘1800 Tas Solar’ and all relevant information on 26 X Sunways 235W panels creating a system size of 6.11Kw, matched to an Aurora PVi 6000 inverter. The price comes to $11900.00. (This is my preferred option.) Is this a reasonable price? And can you please give me your opinion on the German made Sunways panels? Would you choose Sunways over Chinese made Trina panels? The quote for the same inverter matched to Trina panels creating a 6Kw system was $1000 less, so we thought it preferable to pay the extra for German made as opposed to Chinese made. Alternatively I have also received a quote from ‘True Value’ for 30 X 200W ReneSola PV panels, 2 X 3Kw Growett inverters (they can’t currently supply the 6Kw Growett inverter) installed for $11200.00. And finally a quote from ‘i want energy’ for 24 X 240W Rec panels creating a total of 5.76 Kw matched to a 6Kw Aurora inverter for $11000.00. I think the price for Sunways and Aurora is very reasonable for good quality equipment. Sunways are excellent, but I’d personally be happy with Trina too. That is a much better deal than the True Value Solar one in my humble opinion. I think TVS also charge a few hundred a year for “maintenance” if you want to keep your installation warranty? Watch out for that trick! I got a quote from Solar consultants with STS solar panels and SMA or Aurora inverter. I can not find any review for STS solar panel on your website. I know about solar consultants is rated silver star on your website but If you can give me some information about STS solar panels ,I really appericiate any advice from you. I’m not familiar with the panels – but Solar Consultants are a good bunch, so I expect they will stand by the panels they install! Got a quote for 16 x 250kw Trina Honey panels with a delta inverter for just under 7k is this a good deal? Yes – if it is well installed! I have been quoted for LG Mono X panels (LG250S1C-G3) – Are these a reliable solar brand and panel ? I intend to use with a SMA SB5000TL-21 inverter. Will this be a good pairing ? Great inverter! And I’ve heard LG panels are fine as long as they are genuine imports. We are have narrowed our Inverters down to either the SMA 5000TL or the Power-One Aurora PVI5000 but leaning towards the SMA as they are very similar in price and from reviews rated number 1. Panels are a different story. I have been advised by a few people about the Trina (Honey) TSM-250 panels are great but the CSUN and Stella Bosch are also an option. I have read that the Trina panels are good but can you tell me what the other panels are like in comparison. I am unable to find much information about them other from the manufacturer. I can get a 5kW system using the SMA inverter and CSUN or Stella Bosch panels for around the $8000. Do you think its worthwhile getting the Trina panels? From what I’ve read the Trinas will perform better in the hot Aussie conditions. CSuns are also pretty good these days. But Trinas would be my pick. I’m not familar with Stella (unless it is the Belgian lager). You can;t go wrong with an SMA. The Stella are made by Bosch apparently…. Hmmm. Looks like Bosch is out then. Thanks for the tip! You said CSUN is okay. HE was doing them for around $8000 also. I will try and get a price for the Trina panels also. Found out a little more about the Bosch panels. Apparently the Steller Bosch panels are made with Bosch Wafers and made by Anhui Sino Silicon PV Tech Co Ltd. Sold by Rapower in Brisbane. The $8,000 quote is ridiculous for a 1.5kW system. $3,000 is about the right price for a good 1.5kW system. You can probably get good branded Chinese panels (Trina, CSun, Canadian Solar) and a good Chinese inverter (Growatt or Samil) for that price if you shop around. Thanks Finn – I got a better quote with the Trina product through Energy Australia. I live in Perth and just over the weekend got a quote for a 2kw system (with inverter upgradable to 3kw). The company that I am dealing with is Solar Harness and the price is $10,300 (before rebate). The panels were supposed to be Bosch 250w but I have read an announcement last week that Bosch will be stopping production and support for all Bosch Solar energy. I have been offered Connergy 250w panels instead with an Aurora inverter. Can you please advise me if the price quoted is excessive and is it possible to get better deals with good panels made in China? Should I stay with Solar Harness instead? I am into the 3rd day of the 10 day cooling period. Any advice will be great. Solar Harness are great guys that will do a very good installation. Those are excellent and expensive German panels – hence the price. Yes – systems with Chinese panels will be cheaper – probably about $2k cheaper. Hi Finn, your information is most helpful, thanks. We are a business with an almost flat roof (10 degree pitch) and are buying a 25kw system. Quotes are for Renesolar 250w with Fronious Inverter for $45k, or a Linuo 240 (30) 250w with Rewatt inverters for $29k. Massive difference, both fairly new companies in Australia – up to 4 years. The linuo guys are including brackets for better pitch. Astounded by the price difference but research shows both fairly good brands. Your thoughts? I’m not familiar with Rewatt Inverters or Linuo panels – which probably means they are lower Tier brands – which IMHO makes them a bigger risk for such a large system. I’d also say that brackets for better pitch may be a waste of time and money. The difference between 10 degrees and the ideal pitch (your latitude) is likely to be about 5%. How much extra are you paying for the extra 5% power? If you work out the simple payback it may be a looooong time. Renesola’s new panels are getting good write ups at the moment (make sure you get the Virtus II or higher panels) and Fronious are a good brand for larger systems. That would be my choice for hardware unless someone can provide good third party tests of the other gear. But the installation is going to be absolutely critical on this job. I can’t see how you can do it at the lower cost and pay for the professional engineering involved and use top quality Balance of System materials. Also get a written estimate of the financial benefits as part of the contract – make sure your utility won’t change your tariff to a punitive one that kills any financial benefit stone dead. It can happen, you just need to find out before the install! If they can’t provide this assurance, find an installer that can. and difference between price is only $350 so immaterial in grand scheme. What do you or others recommend? I’ve never seen an “Australian Solar Panel” in the flesh, so I can’t comment on their quality. But I consider the name deceptive because to me they imply they are made in Australia, when they are made in China. So I personally avoid them for that reason. Delta inverters are fine. Schott panels are fantastic. They don’t make the crystalline ones any more – but the company still exists, so warranties should be ok (check they are an official import to be sure). And Schotts are so good – you are highly unlikely to claim on the warranty. Aurora inverters are great. Finn what about Sungrow inverters? Vendor is now saying they don’t have Aurora in stock and have ordered shipment of Sungrow and said they are equally good. I am looking at a 3KW system. Inverter to be supplied is Delta 3.3 Which I am happy with. Panels are zeus appollo mono. 12 x 250w The data specifications look good but I can not find out much about them. Do you know the brand? Hi, I’m looking at a 5 kw system, using a fronius ig 60 inverter with ten yrs warranty, and 21 sma panels. Price $ 8300. Not sure where u r but in Sydney I recently paid $4400 for 12 trina 250w honey panels + 3kw aurora inverter. Just wondering would 200Wx20 panels (9 facing North, 11 facing East)Trina Honey panels work efficently with 4kw SMA inverter? I don’t have much roof space North facing and was told this system would work better with the smaller panels than if I was to get 250Wx16 panels (5 facing North and 11 facing East) Trina Honey panels with the SMA inverter because it measures a little too tight. That is why we have CEC accredited designers! It’s all about the voltage/current going into the inverter. Ask them to show you the design documents that prove their claims. There is a simple piece of SMA design software they can use that will tell you which combination of panels and SMA inverter will work and which ones won’t. Both really good – last time I checked Trina had a slightly better temperature coefficient so it it is hot where you live – probably Trina. But it is very marginal. I’d be happy with either. Received a quote from Clean Energy Systems for a 3.22Kw system 14 panels (230w) GermanSolar Premium Line and a 3.6Kw Aurora interver for $14,275. I am waiting for a quote from Combined Solar for a similar size system they use Blueline XT Panels (195w) and Blueline MI Inveters. Any information or suggestions on these would be greatly appreciated. I’ve heard good things about German Solar (although I think the name is misleading personally as they are Chinese Made). I’m not familiar with the Blueline stuff – it seems to be very expensive for some reason. do you have any information on these? I hear Jinko panels are fine. I;ve heard that there have been a lot of failures of APS microinverters in the field though. Do you have any more current feedback on APS microinverters? I was just about to sign up on a deal when I came across this comment by you. Great Question! I’ve been investigating APS microinverters recently. Here’s the story. Around 2012 when they first appeared in Australia, they did have serious reliability problems. Installers were reporting failure rates between 5 and 15%. And interestingly a couple of installers whose opinion I really trust, now tell me that they really rate APS micros. DO you mind me asking who you are dealing with in Mount Gambier? How do you rate Jingko panels compared to Q-cells? Q-cells would be my choice as they are guaranteed PID (snail trail) free. Hi Finn – Adelaide SA Have been quoted $7000 for a 5kw system with Samil Inverter and Csun 250w panels. Are they good products and have you heard of Energy Australia. Samil are good budget inverters. But get a 10 year inverter warranty if possible as no matter what inverter you get – it is the most likely component to fail. CSun are a Tier 1 Chinese producer and make good quality panels at a very good price. I’d be happy with that system. If it were a car it would be a Hyundai (good value and reliable, decent performance). I’d go Trina and Fronius! Thank you for your reply..We are also dealing with Solar Sunwerx but a different salesman who only offered Jinko panels with either APS micro inverters or Samil, 4KM system for $6902. I might have to make some more inquiries. Finn, we’re looking at a 5kw system in Brisbane. Choice b/w Rensola Virtus II 250 watts panels with a Fronius inverter (10 yr warranty) for $10,300, via Mark Group, or REC Panels with SMA Inverter $9000 approx. via RJ Solar of Brisbane. I am leaning towards REC/SMA for history/reputation, but an unsure of the performance of Renesola/Fronius. Any thoughts? Wow there is a lot of stuff here and really good info. I’ve been reading for days. Hope you can help. Questions – is it worth paying this much premium for micro-inverters (this seems better technology but still relatively new in oz) and will I get a decent install if I use True Value? I appreciate all the gear here seems good quality from what I have read. As long as they are good quality ones – I have solar bridge micros on my roof. Whether they are worth paying more for – the jury is out – expect about 7% more power – and much better monitoring so you know immediately if there is a fault or they need cleaning. I’ve never been a huge fan of True Value Solar. They used to be awful – they seem better these days – but I personally would not use them based on their history. Glen Clark is a great installer. Your input is invaluable, thanks for taking time in answering our queries. Can you tell me anything about Energy SA in Adelaide? Quote for LG Mono X with Aurora inverter. How good are LG panels? I’ve heard LG panels are pretty good. Have had several quotes on a solar system to be installed, one that is come in reasonable and would like your thoughts is from a local installer. Am to have a 8Kw system installed, using 2 inverters, both Sunnyboys and 32/250w lightway Solar panels. One 5Kw on House and the other 3Kw on shed. Would like to know ur thoughtd on equipment used and if in a good price range. Hmmm….. lots to consider. I had a quote from Blueline today and was pretty impressed but based on what I’ve read above maybe I need to look around. Quote was for Blueline XT panels / 2.5 kw system so 8 panels 250 watts plus PVI-3.6-OUTD inverter, installation, council negotiation, training, etc. $10, 770 fully installed with a choice of 3 payment options. Is this a good deal and good products? Price is after $1580 gov. rebate. I have asked for 3 quotes from your website. Do I wait for these or can you recommend reputable companies / products for the Batemans Bay NSW district. Ouch! That is expensive! Please wait until you have more quotes! – points Chinese inverter with 5 year warranty, cell efficiency 17+%, more expensive than system 2. + points Swiss inverter with 10 year standard warranty, cell efficiency of 18+%, cheaper than system 1. It’s tough balancing the positives and negatives when you are not familiar with the industry and the hardware and which factors are more important in the long run, and I can’t find many reviews of Ulica, Hanover or SolarMax so that does not make it any easier, but I am leaning towards system 2 for the inverter and the lower $$$ and would try to get a warranty on the installation based your blog posts about what to look out for. Does any of the hardware ring warning bells? Thank you Finn for running this site, it has been a great help. Samil are pretty good these days. I’d choose Ulica over Hanover. We have an Effekta ES4200 solar system with 20 panels. The other night the invertor started to make a clicking noise and now the green light flashes with an Err 22 appearing on the screen. Since ASPIRE Solar is no longer in business we are wondering who to contact for help and advice! Hi Finn, great site. Very informative. What are you opinions on the panels and inverters and the companies themselves? Both good companies and hardware. But Infinite’s offer looks like a really good deal. Great panels and inverter and Infinite’s install crew are first class. Got two of the three quotes from your service, plus some from other retailers – Accord, Halcol, WWOL, Modern, Origin etc etc BUT Solargain has come in under all of them at $3000. for a 2.5KW sytem with 1 x FRONIUS IG20-OUTD (10 year warranty!! )AND 10 x ReneSola 250W Virtus2 JC250M-24/BBV-2 (2.5kW ). Seems VERY good(tho I had to annoy them to finally give me a quote on the Sunshine Coast QLD. Don’t really understand all the gobly-gook re warranties(below) but assume it is standard AND I’ll query it more. What do you think of the above??? permanently; (f) damage caused by anyone other than us; (g) the effects of weather or other natural events; (h) surges; (i) the condition of the Property or electrical wiring or systems; or (j) changes in law. It certainlt seems like a good price for Fronius and Renesola. You are too right about it being a solar minefield out there with companies beating a path to ones door(or phone) with quotes that undercut each other(and they speak very lowly of each other…no love lost among solar companies). We ‘signed up’ with Solargain at $2990. for a 2.5KW sytem with 1 x FRONIUS IG20-OUTD (10 year warranty!! )AND 10 x ReneSola 250W Virtus2 JC250M-24/BBV-2 (2.5kW ). But, have requested a ‘postpone-ment’ of the install – have not paid anything as yet so I assume I’m safe there per a cooling off period etc etc?? As I feel a bit pressured and not confident that I have done enough research. BUT, then Euro Solar is offering a 1.5 system with 3.3 inverter and 6 panels for $1949. AND/OR a 3kw system with a 5kw inverter and 12 panels for $3200.!!! How does a person choose??? I am assuming that, in the case of a 3kw system and a 5kw inverter, it means that there is room for expansion up to 5kw??? Is that a plus?? Knowing the Tier 3 panels that Eurosolar have been selling, I would not recommend them. Make sure you do your research on their hardware and you may want to Google “Eurosolar ACCC”. Fronius and Renesola are both good, Tier 1 brands. 1) If you don’t actually have room on your roof for enough extra panels to match the inverter in the future, then a larger inverter is a complete waste of time, money and space. 3) Inverter prices are dropping all the time. By purchasing a larger one NOW you might actually be spending MORE money than if you just wait until the prices drop. 4) If you do decide to buy extra panels in the future, you’ll have to get ones that are either identical or with very similar specifications. And if you don’t pay your original installer to do it, you’ll probably void your warranty on the existing system. So your upgrade will be a very limited choice of (probably very outdated and overpriced) panels and a single installer, which means you will probably pay through the nose compared with just getting the best “whole system” deal on the market in 3 or 5 or 10 years time. Thx again for a prompt reply. I, among most others, am bewildered by all the jargon and all the promos and different equipment and must rely on my own research(and yours, who’s hopefully I can trust – tho I know you have your detractors as well). I have ‘postponed’ the original install of the Fronious and Rena system as I was feeling a bit pressured by other promos, who called me repeatedly(eg green and gold and Euro solar). I suspect that rather than chase the cheapest system it is best to do as much research as possbile for the most suitable system for our property/use. The Fronious system is a 2.5 kw inverter with 10 panels – I assume that it is not expandable AND it is unlikely we could/should do that anyway in the future(I understand that it costs $200. plus per panel later on and as you say it may void warranties etc PLUS, I would really like to do this only ONCE!). So I take your point that the Fronious and Rena combo is probably a good choice(and Euro Solar do seem like a flighty bunch…). Seeing that we appear to be a VERY low usage household(so far). 1. I want to know how much power, per kw, I am using per 24 hour period. Is this simply a matter of reading my meter? e.g. if the meter reads 06493.9 at one point and reads 06494.3 after 24 hours – does this mean we have used approx 1 to 1.5 kw of electricity in that period(or is it 1 to 1.5 kw per hour???). By the way, the reading for our offpeak meter was almost the same! 2. As per the above sample reading what would our electricity cost for thei period, on the tariff 11 daily tariff of say 30 cents per kw(which I ‘think’ is about right? Based on the above reading, the usage appears to be about maximum of 3-4 kw a day – even tops at 5kw??. This makes me think that the 2.5 kw system will be well and truly big enough…even for an expanded family??? Hopefully this is last query – pre-install – so I can just accept it and move on…to other projects around the house. Sorry Finn, thougt I was thru with questions but…. Some companies have suggested a timer/switch for my electric storage hot water – ranging in price from $100 to $300.! – (which I may change to solar depending, as my current one is quite new) – so that I can have it switched off at night and just heat off my solar in the day, as we use VERY little hot water and it seems crazy to keep it on 24/7! Some other companies say, because of the off-peak cycles of 18 hours etc etc – which I DO NOT understand – that it would make no difference! Hi Finn, hope you can help. We had 20 Hanover Solar panels HS250M 250W Monocrystalline and a Growatt 5000MTL Inverter installed. Could you tell me if these are ok or not, please? Had a little trouble with the Growatt inverter after 12mths so phoned company that sold them to us & guess what their phones are no longer connected but I did find the Sydney supplier who sent us out a new inverter but we had to find our own solar electrician to install it. He did say they were a good brand & that the old one was ok just didn’t get set up properly in the beginning. So could you help & tell me if ok or am I going to have to search now for Honover suppliers just in case. The company that sold this to us is ‘Solar Island Energy” just to warn others out there. Hopefully your inverter was imported through the main Growatt wholesalers: RFI – a very honorable bunch in my experience. What offer should I choose? Do you think TVS has now improved their services? If you are using 3.35kWh per day you only need 1kW! Are you sure that is correct – it is almost nothing? Most homes use about 20kWh per day. You can expect 4kWh per kW installed averaged over 1 year. The panels/inverters are good brands, but I would not recommend True Value Solar based on the stories I continue to hear about their after sales support (or lack of). Thanks for your help Finn. Thanks for your quality and prompt reply. Yes, my daily average usage is 3.35 kWh as per recent Origin bill. As discussed here’s some information about the products supplied with the $7990 9 kW solar system. The 9 kW advertised system uses JFY good quality Chinese made inverters. They have a 5 year warranty. The solar panels are from Munsterland. They have a 25 year warranty (see attached information). There is no actual official (independent) definition of the ‘Tiers’ of panels however large volumes of panels and being around 5 years or more seem to be a couple of accepted criteria for an informal classification as Tier 1. We have installed tens of thousands of Munsterland panels around Australia and we buy them in large quantities which significantly reduces the cost, and we pass on the savings to you. Note that we can supply other components such as SMA inverters (world’s best) and many different panels however the cost will be higher. Just let me know if you are interested in other components. If you would like any further information don’t hesitate to ask. I would be happy to meet you and answer all your questions. There is no way that Munsterland panels are Tier 1 based on any widely accepted methodology for ranking solar manufacturers that I’ve ever seen. “Being around for a few years and large volumes” is not a Tier ranking methodology! I’ll write a blog post shortly explaining exactly why I (and everyone else I know) class Munsterland as Tier 3. Unfortunately Sunpower are also bloody expensive – so your call if you want to spend the extra. Renesola and Q-Cells are both good panels. Q-cells are a bit better in my opinion, but I expect you can get the Renesola’s a fair bit cheaper than the Q-cells. Fronius are excellent inverters. One of the best. Hi Pinn, I got two quotations (5kw) for making a choice: one is Sungrow inverter and Lightway panel (250w, poly) with a total of about $7000 with 10 years warranty for each items, plus 10 years installation warranty offered by Gem Energy Australia. I am waiting for their T&C now. The other (Solar Link) is SMA inverter and LDK panel (200w for each, mono) with a total of $6000. The warranty is that 10 year solar panel replacement warranty plus free of labour, and 5-year inverter warranty. But the T&C is not very pleasant, and Solar Link agrees to revise the related clauses based on my suggestions if I am happy to proceed to purchasing process. My worries are that LDK have no office in Australia and I am not sure how the related warranty will work in case Solar Link will not exist in next 10 year. Also, I heard that LDK had financial problem a few years ago. It is not clear who is going to repair the roof that might leak due to the installation. The classifications that I use rank LDK as Tier 1 globally, Tier 2 in Australia (due to the lack of Aussie Office), and Lightway as Tier 2 globally and Tier 3 in Australia, due to low market share. Yes – LDK recently were voted as bankable by only 13% of respondents in a Bloomberg New Energy Survey. But then Lightway were not on the survey at all because they are not classed as Tier 1 by Bloomberg. If it was me who had to choose the hardware I’d probably go for the better inverter and Tier 1 panel (the SMA and LDK option). Tier 1 panels are unlikely to fail in the next 20 years, and inverters are the most likely component to fail, with SMA being about as reliable as they come. Just be aware of how much power you will sacrifice with the south facing panels. If your roof slope is 30 degrees from horizontal, then you’ll lose 36% of your power compared to North facing. The higher the roof angle the more you’ll lose, and vice versa. Great work you are doing here. Your info is a big help in this minefield. What teir do you fit them into? Can’t seem to find many comments on these panels. Thanks in advance for yours assistance. I haven’t had any experience with Biosolar. Anecdotal evidence seems to suggest that they are rather expensive. Aurora are good, mid-range inverters. My list has Sungrid as Tier 3. B) 5.0kw Solahart panel/SMA inverter @$9725 and 5.0kw C-Sun panel/Power One inverter @$7990 from Adelaide Solar Systems. @ 6900 from Living Energy. I heard that Power One inverter is very noisy, is it true? How do you rate the above combinations? Please advise which option I should take. Many thanks for your kind assistance. Re: The panels; Renesola are good Chinese Tier 1 panels. I think the Solahart panels are rebranded Hanwha SolarOne – good Korean Tier 1 panels. C-Sun are one of the better Tier 2 panels. Good value – and I’ve had good feedback about them for many years from installers. Re: The inverters. SMA are German made, excellent inverters (hence the price premium). I’ve no direct experience of Solarmax as they are relatively new to Australia, but I’ve only heard good things about them. The power-ones are very good. I’ve never known them to be particularly noisy. But both Adelaide Solar Systems and Living Energy would be more than happy to let you hear one in operation, I’m sure! We have 2 quotes here for a 5kw system. NQ Solar have quoted $7600 after the rebate (a special on at the moment, usually around $8200), ET Module 250w poly panels and Aurora inverter. Their installation cost alone is $3488 which I thought was excessive. Infinity Solar have quoted $6816 after the rebate, no details on the cost of each component, which I have now asked for. They use CSUN poly panels and 4.6kw Solarmax inverter. There seems to be a big price difference between the two, would there be a big difference between the inverters? Auroras are excellent inverters, owned by multi billion dollar engineering firm, ABB. Both those panel brands are good. I’d avoid any of the comapnies currently advertising in the Adelaide Advertiser with super CHEEEEEEEP deals. In my opinion those systems are very unlikely to last the distance. thanks what I go with one of them and get a premium system such as sma and lg panels? I’d be confident that any system offered by the companies in that list would do the job very well. I have an offer for 5Kw with SMA inverter and 20x 250 APS panels for $5500. I never hear about this panels. How is this panels . My guess is that this is from Eurosolar and the APS panels are their “homebrand panels”? If that is the case, the inverter is great but those are not panels that I would have on my roof. Eurosolar were on my case for a full day and will promise anything as long as you sign on the day. They phoned 8 times that day and sent the info through incl the contract which states you pay the full amount before you see anything and so have no come back after you paid. Also as I didn’t sign on the day, they did not ring back again, very fishy. Maybe Finn can tell us what the normal procedure is for payment in general terms. I have tried to get feed back on Eurosolar and Dollarsolar but there is not much out there. I would be surprised if south facing panels get any sun at all! More like less than 10% power generation compared to northfacing! It would not be economically viable to install PV on anything other than a NE, N or NW facing roof slope. Interstingly, a south facing panel in Oz will produce more than a perfectly oreiented panel in Germany! Hi Finn. Would appreciate your comments. Been quoted $7090 to install a 6kw system consisting of 24 ReneSola 250 watt Virus 11 Multicrystalline Panels and a 5kw Solis MTL or ReneSola RePlus 5 kw inverter. What do you think of the goods and the price. Appreciate the guidance. The Renesola panels are good. I’ve no experience with the Solis inverter, or the Renesola one. It seems like a good price for a well installed system assuming the inverters are good. Get a 10 year warranty on the inverters! I have just had installed by Solarlink a 5.00kWp with a samil5000TL inverter. I have 20 panels in total costing $6,490.00. Does this sound reasonable. I live on the Atherton Tablelands Qld. Love what your got going here, its really useful for ppl like me who have no idea what system to install, so double thumbs up. My last 2 power bills have come in at over $2700 (combine) on top of that add $1200 for gas ($4100 in total…we are currently renting in Vic). We have just brought a house in the Shellharbour region (Wollongong) and are going to install a solar systems once we move in (December, just before xmas). I have spoken to many, and I mean many solar companies; as you can imagine they have tried to sell me a lot of BS in regards to the size of system I need, the type of panel,inverter etc….I been offered 2(what I think a reasonable deals) from 2 large organisations. The first is a 4kW system with Trina panels and a Delta inverter for $6090 and the 2nd is a 4kW system with Jinko panels and a Samil inverter for $5599…..with your extensive knowledge, what do you think is the better option? Any advice you can offer would be greatly appreciated. Jinko and Trina are both good Tier 1 panels. There have been reports of ‘grey imported’ Trina panels in Australia, so double check that your Trinas are official imports. I would rate a Delta over a Samil personally. THe inverter is a good one in my opinion. Also – at that price be sure that the company doing the install is a good one – cheap, rushed installs are bad news. JFYs are pretty much the cheapest inverter on the market. Many installers have told me that they are a lot better than they used to be, and have very good warranty service in Aus these days, but… I’d personally recommend paying a bit more for a longer standing brand with a good reputation for reliability. Just wondering what your thoughts are on CSUN panels, I live in a very high salt area and need to decide to go with either CSUN or Canadian panels. CSUN are good budget Tier 2 panels by my reckoning. Canadian are good Tier 1 panels – probably a bit more expensive. Both should be fine. My choice would be Canadian if price was equal. I’ve heard that Black Opals are very good panels. I believe they are rebranded JA solar panels. In my opinion (and many will disagree) a Tier 1 Chinese panel is as good as a Tier 1 panel made in Europe. Hoping you can help. I’ve been given two quotes. East facing shed installation. First from Solargain 5kw Fronius IG60HV inverter 22 Renesola JC250-24/Bd panels for $9390. Second from Solar Harness 5kw Conergy IPG5S inverter with 16 Conergy PH 250P panels for $12694. Both those systems use good quality gear and both companies are good guys. But the SolarGain system is 22x250W panels which is 5.5kW and the Conergy system with 16x250W panels is 4kW of panels. You’ll get a lot more power from the 22 panels, obviously, and Fronius inverters are as good as any, in my opinion. Renesola are a good Tier 1 Chinese manufacturer. I’d be happy with them on my roof. Have you heard of a gadget called Solarmiser? If you google it you can see the video. It was invented in the uk by a guy who got sick of sending his unused solar back to the grid. Instead, it sends any unused solar power to be used by the hot water heater. Is it possible to install and use it in aus? I’ve never heard of it before. But looking at how it works – I think the inventor may be on to something! It is very elegant and cheap! Unfortunately, to use it legally in Australia it would need to get a bunch of approvals, which are fairly expensive. I shall contact the inventor and see if he has plans to do this. I may even help him do it! Please comment on Infisolar panels and Growatt dual tracking inverter for my 3phase existing set up at home. The quote is $6145 for 4 kW system fully installed. Also on suntwin inverter and Korean brand panel for which I have quote for $4390 for 4kw system fully installed. Growatt are one of the better budget inverters out there with good Australian backup. But get a 10 year inverter warranty as no matter what inverter you get – it is the most likely component to fail. Origin installs 20 x 250 watt Trina solar panels and includes 1 x Delta Solivia 5.0 inverter (AC Rating Nominal Output 4.98kW). It is good hardware at a good price. The Origin installers are usually very good. I should start by saying I put in my request for 3 quotes on 30 December and had all 3 by close of business on 31 December. Now that’s efficient! I received a quote from SAE Group for $7790 for 24 x 250w SERAPHIM panels and an SMA 5000 TL Inverter. It was a couple of hundred dollars cheaper than the next quote and a couple of thousand dollars cheaper than the third quote. There seems no doubt the SMA is a quality product, so I wont ask about that. As for the SERAPHIM panels, there is a lot of extremely positive comment about them and very little negative comment. Having said that, they don’t appear to have been around all that long. Is there anything I should know about them that might affect my decision. SAE seems like a very good organisation (they must be, they say so themselves on their website!) and seem to have very good ratings from nearly everyone. I am rather relying on their endorsement of Seraphim – I hope this is justified. Probably not relevant, but I am in Brisbane and have a North facing pitched roof that will accomodate the panels in 2 rows of 12 each. my house is 2 storey so there should be no shade issues. SAE have also said that they can put the inverter in the garage (it will back onto the meter box which is on the exterior of the garage wall) – is this a good idea?). I believe SAE are the importer into Australia – so they should be able to handle any warranty claims. The only drawback would be that if SAE were not around in the future for whatever reason – you’d need to go direct to China for warranty claims. Seraphim are a relatively small manufacturer – so have “Tier 2” status. But they appear to be one of the Tier 2 manufacturers that make a good performing panel. I’ve known SAE for a good while now – and would trust their judgement. I personally think a cool garage is the best place for an inverter, It is protected from the sun / elements and is easy to access. It feels like I have been researching solar for 2 weeks straight and am still coming up with surprises. I was ready to sign a deal with solargain for a 4kw system consisting of Fronius IG60HV inverter (which I know from reading is a good inverter) and 16 x renesola 250w virtus 2 JC250M-24/BBV-2 panels which after reading a lot of comments I thought were good panels. However, when I looked up the performance ratio of this model they only reach 89.68% ,unless this is the old model on your website, because it doesn’t have a 2 next to it in the panel comparison? Origin gave me a similar quote for a 4kw system instead with delta solivia 5 inverter and 16 x Trina tsmpco5A honey panels which have a performance ratio of 91.64%. I really wanted to go with solargain because they don’t use subcontractors but am now leaning towards the origin deal because I believe I am getting a better system for the same price. I was interested to know if you think the performance ratio of the renesola panels being below 90% is a deal breaker and if I should just go with origin despite the use of subcontractors? Thanks for your help. I would not stress over a couple of percent performance ratio. It is probably within the margin of error of the testing machine! And yes – I think they are the older model. Renesola are good panels. Solargain are a good bunch. I have been looking into Solar Power for a while now. They are also throwing in a Soniq 42″ TV. Not that we need a TV but getting one in the bedroom wont be a bad idea. 14 x 250w panels. Not sure on brand but advised they were Tier 1. My parrents just went with Solar-E a few months ago and were happy with their 5kw Afore inverter with 3kw of panels. Whats your thoughts on the Omnik vs Afore inverter? True Value Solar advised Omnik are are German design but made in China. Both of these quotes have the wireless module for the inverter which my parents have in the Afore and it looks great. with 12 x 250w Jinko/Tigo panels for $3800 or $4200 for an extra 2 panels. I didnt want to go over $4k but have heard Delta are great. Not sure if Zeus have a wifi module for monitoring. Apparently the Delta does or maybe the Tigo panels have individual monitoring? It wasn’t clear. Your reviews and comments are great. Keep up the fantastic work. Jinko and Trina are decent Tier 1 panels. I’m not familiar with Omnik inverters. “German Engineered” means nothing these days in my opinion as it is so overused by all and sundry whether they really have a team of German Engineers or not. I’d go for a well known inverter brand, Tier 1 panels and a company that has a good track record in quality installs. Delta are good. The Tigos have panel level monitoring/optimisation so should give about 8% more power on an unshaded roof. Could you please advise me on a Solar Juice Opal 255W solar panel and Zever Solar TLC5000 3-Phase Inverter that I have been quoted on by Captain Green Solar with 20 panels 5kw system $4890.00 installed as this is new for me and before I outlay my money I need some real advice. I’ve heard good things about the Solar Juice Black Opal panels. I think you’ll be fine with them. I think they are rebadged JA Solar panels (who are a good Tier 1 manufacturer). The Zeversolar inverters are one of the better Chinese inverters. Not as good as an SMA, but a lot cheaper and actually owned by SMA these days – so a strong support network in Australia. Gidday Finn, must support the above comments and acknowlege the value in your advice and opinions posted. Can you please comment on Schneider and selectronic inverters and solar controllers, BSG 250P & Hahnwa solar panels. Can you also advise on sonnenschein batteries as this is the most expensive component. I am looking at a full stand alone solar system and going by the quotes i have recieved so far it is an expensive investment. What other advice might you offer. Schneider and Selectronic inverters – both excellent. Hanwha are good, Tier 1 panels. BSG (Blue Sun Group) would not be my choice personally. If you get a grid connect system now you can always add batteries later with AC coupling. Batteries should reduce in price a lot over the next 2 years. I’ve been trying to research & get quotes for solar. My bill is roughly $350 a quarter. After reading your site I asked for quote with SMA inverter & the guy said they can do but will cost extra $500 after discount but they say warranty still only 5 yrs. Can you help me please as I am on my own & its lot of money for me. Personally, I think it is worth an extra $500 for an SMA inverter. It is more likely to last longer. SMA definitely offer 10 year warranties – although you may have to pay extra for it. Thanks for your help and advice for the best way to get a good deal with solar.After reading your site I felt enabled to ask the questions etc before accepting quote. I’ve been offered a 4kw SMA & 16 Opal juice panels 250w. They are also giving me a 5kw inverter for price of 4kw. Do you think this is good deal. SMA are great inverters. Solar Juice Black Opal panels are meant to be very good. (I think they’re made by JA solar). That is a very good price for 4kW. Almost too cheap for that hardware? What is the company? I’ve been quoted $10,999 (after Government Rebate of $4,300) on a 6kW (24x ReneSola Panels 250) System with a Growatt Inverter and wanted to find out whether this is a good deal? I’ve previously been told that I should look at getting European (German) Panels/Inverter due to quality issues with their Asian counterparts? Is this true? I’d be grateful for your feedback before moving forward with our decision to proceed? $6,700 is a good price for a good 6kW system. The panels are excellent. The Growatt inverters are one of the better budget inverters. But they are a budget option. They have good support in Oz – so you should have no issues if it fails in the warranty period. If you want a inverter that is much more likely to last way past the warranty period consider a few hundred dollars more for a SMA, Fronius or ABB (Power-one) inverter. Had a salesperson here today from Sunsource Group talking about a 6kw system. Inverter Brand – Sungrow with 10 year warranty. Panel Brand – CSun Polycrystaline IP67 250-60P x 24 panels with 25 year warranty. Sunsource say their price is for the finished installed product, no hidden costs. Quoted price is $8,900 which includes 24 tilt frames. I am getting another two quotes and want to know if there is any more information I am missing and what questions, if any, I need to ask. I’d class CSUN as a good Tier 2 panel. I know many installers that like them as a budget panel option. Sungrow are one of the better Chinese inverters. To revise that last one..
in addition to the revision. Ive had another quote as seen below. the panels quality is not known (PV APS), I cant seem to find much on them based on the quote, reading above queries in this blog, it seems Jinko Panels are pretty well respected? APS are Tier 3 panels. They would not be my choice personally. I always recommend Tier 1 panels. Jinko are Tier 1. Fully installed in SE Qld. Any comments on components and price greatly appreciated. It seems very small. With 4kWh of storage and 40%DOD you are getting less than 2kWh of storage. Which is almost nothing in the scheme of things. What are you hoping to power with this? The system quoted is as follows…. Are the compenents adequate and price appropriate? The panels and inverters are good brands. I’m not an expert on battery brands (yet!). have been approached by Simax with an offer to connect to solar just doing some research, can you offer me some advice on this company? Its got 12 X 255W panels. The parts i have researched all say good things like the panels are a tier 1 company and the inverter is tier 1 and supply lots of other companies with inverters as well. Just Kind Request for your suggestion and recommendation. That looks like a good system at a very fair price. Phono are good panels. Aurora is a good inverter (one of the best). GEM seem like good guys. I think you should go well! Could you please advise whether they are good prices comparing with current market price and which option should I go with? Good 5kW DC systems (without microinverters) start at around $6,500 at the moment. Microinverters generally add about 35% to the outlay. They are both good panel brands – although Q-Cells would be my choice – all else being equal. My head is swimming with Solar info and I now find myself quite confused. Personally – I’d upgrade to the SMA inverter if you can afford it. SMA should increase the warranty to 10 years for a couple hundred bucks. If you have all those appliances, I’d go for 6kW over 5kW! I am having trouble getting credible quotes for a 6kw standalone system. The quotes lack detail and there has been unto $20,000 difference between quotes. Or they don’t even bother to send you a quote. So far the most useful company started at $49,990 for a 9kw, down to $42,999 for a 7.5Kw and now $39,900 for a 6kw. The only details I’m getting are these: * 6.w Kw array/64.8kW battery bank/15kwh average daily usage * 3 x 48V 450AH tubular Gel Battery Bank. * 1 x IPS 4000WM Prewired Triple system Board. * Metal battery box to suit banks * CSUN 250 Watt poly panels * Total $39900 But there is no actual detail, no breakdown of costs and I’ve asked and asked. The company is Halcol energy. I’ll ask Halcol to get in touch ASAP! Can you tell me if the ReneSola panels are any good? Yes – they are good, Tier 1 panels and well supported in Australia at time of writing. Great site . Keep up the good work. I have received 4 quotes in Melbourne for 3KW systems. Pricewise they are are all in the same ballpark (under $6k) alhough not sure if the monitoring software is included in all the quotes. Warrantees vary so it really comes down to the panels. By doing my research it would seem that someone has issues with all the above! Lightway is the only panel maker with a local office. Any thoughts. OOPS. Renesola also have local offices in Victoria. My mistake. My Choice of panel would be Renesola, Canadian or JA Solar. They are all good Tier 1 panels. And well supported in Australia. I would class Lightway as a Tier 2/3. Enphase is a great choice. They are soon to release an AC battery which can be installed in about an hour and will provide 1.2kWh of storage. Further storage can them be added without an electrician. It all gets controlled by your existing Enphase comms unit. The Jinko system looks like good value to me. Could you let me know your thoughts and if it’s worth paying the extra for the Q-Cells? Jinko are good, Tier 1 panels. They will certainly do the job and are well supported in Australia. Thanks for the great site. Can I get your opinion on the following two quotes for a 3kW system in Sydney. Both include monitoring and replacing the meter. I would go CSUN + Enphase. Enphase are one the top 2 microinverter brands out there (the other being solarbridge). CSUN are a Tier 2 panel – but one of the better Tier 2 panels. I would also get a price from RK for a Tier 1 panel – you can probably go full Tier 1 for a few hundred dollars more. Can you please give opinion about Hanover 250 w panels. It is really great what your got going here, its really useful for people like me who have no idea what system to install, so double thumbs up. I have a few questions I am struggling to make a decision, wonder if you can help me, that will be much appreciated!! 1)	I have no room left on the North facing roof, because there were solar hot water panels installed. I was told to stick some panels on East and remaining West. Not sure how would I go about it, whether to stick everything on West or leave some for East as well? I have read somewhere on your website that you would prefer all panels on West? By the way I am looking at 3kW (12 x 250w). Can you suggest please? Can you please which company/deal to go with? The prices quotes are they reasonable? The micro inverters (with energy Australia quote) are they of good quality? I heard panels with micro inverters are better, but they seem to be bit expensive at upfront, what do you say? West facing panels give you more power at the end of the day, East facing at the beginning of the day. So positioning depends on when you use your energy. Again with the east-west question. We’ve been-there-done-that several times, and NORTH is still the only way to go, even with the valueless FiT. North-facing is SO much better that it’s worth going to some trouble to achieve:- remove a tree, erect a purpose-designed frame/pergola/carport, etc. (any of which can be put up for a few hundred dollars. Any other direction WILL reduce your output/potential to some degree or other ~ and the further you are from the equator the greater that loss will be. I thought that had been established as being beyond dispute long ago. Air mass/density (greater the further off true north your panels face) is only one consideration….as are fogs that sometimes don’t dissipate until near lunch-time (rendering east-facing panels useless. Similarly, the weather in most locations blows in from the west, and clouds often begin banking up in the early afternoon…..rendering west-facing panels useless. The “depends on when you use your energy.” is a furphy, because you’re trying to anticipate what the weather-conditions will be at certain times of the day ~ and/or when and where the light will fall. Such considerations will involve a few dozen other factors, including longer-term weather-patterns and the effect of the local geography (like mountains, etc.) on those considerations. etc. Up here where I live (near the top of a hill) I look down into a valley about 3km away that ~ according to the published BOM figures ~ gets one hour per day of sunlight MORE than I do on a year-round average. However, depending on all the details (siting, etc.) the same Mt BawBaw that produces those effects can block direct sunlight to other areas down there either morning or afternoon. Bottom line:- Except in the rarest of of circumstances facing panels directly due True North (and tilted to within 10% of your lattitude) is the ONLY way to maximise solar-power production in all conditions. [email protected] if you want to argue the toss. My house roof is almost, but not quite east/west facing. Why would most of the designs not include tilt but are suggesting not worth the extra cost to tilt? What is your opinion on the above quotes? The LG panels are slightly better ones in my opinion. The good thing about a Fronius inverter is that it is “Tesla Powerwall” compatible – if you want to add Tesla batteries later – it should be really easy. CNPV are good panels too and Aurora is a great inverter. THat system will certainly work well too. Thank you for a great website and some fantastic advice. I have learnt a lot from your website but I have so many questions. I have a few quotes for a 13-14kW system. (54 panels). Could you please tell me what you think. In terms of hardware – my choice out of those would be Canadian, then Renesola for the panels, and the 3-phase SMA for the inverter. ABBs are good, but SMA’s are even better, and the 3-phase keeps monitoring simple. Thanks for help! I have a question about choosing correct size of inverter for the size of panels. For example, I am looking at Q-CELLS 10×260 panels, which is 2.6kW, for this size of panels whether 2kW or 3kW inverter more suitable? By the way I am considering SMA or Fronius inverter. The sales consultant recommended SMA 3000 TL – 20, does this one a 3kW interver? Also do you have any thoughts about SMA inverter with Battery model? We are thinking about considering it, because the Feed-in-Tariff is almost nothing and this battery can store upto 2kWh energy. But not sure how much will be the cost difference and whether it is available in 2.6kW size at all. Do you have thoughts? If not, can you suggest what size suits for what size of panels? I’ve just started looking into getting solar and received a quote for a Sungrow inverter and C-Sun panels. I’d love to know your thoughts on these products as I am having trouble finding information myself. C-Sun Panels are one of the better Tier 2 panels out there. They are generally sold as a budget option. Sungrow inverters are a good Chinese inverter. They are usually a lower cost option compared to the European inverters such as SMA, Fronius or ABB. Does SMA SunnyBoy 2500/3000TL inverter already set up to be connected to a battery storage system in near future? or we should spend few more dollars for a SMA Sunny Island battery inverter? I saw on your previous posts, you were recommending Fronius inverter because it is Tesla Powerball compatible, if I want to add tesla batteries later, does that mean SMA string inverter doesn’t support battery storage system in near future? Tesla will only confirm that some Fronius and some Solar Edge inverters will be compatible. 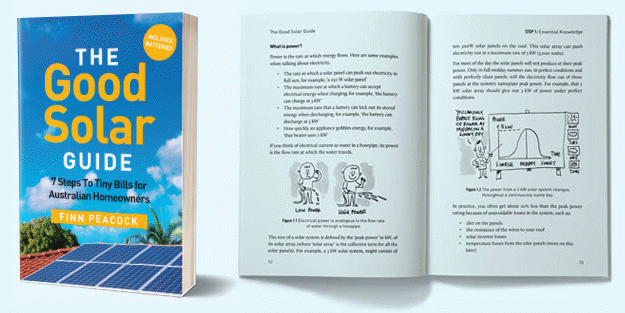 A sunny island will allow you to have backup functionality if the grid goes down, a regular SMA inverter will not. I’ve just started looking into getting solar and come across this site. You are really doing a great job here. After going through some of the articles here in this website, I now have good knowledge on solar system and the different components. After decided to going ahead I am looking for 2.5/3KW system and different sales person giving different opinion about going for string inverter/micro-inverter. They are all saying that micro inverter is not only good for shading requirement but also is more efficient in terms of longer production time. So I am now confused which system I should go for? My future plan will be to add battery for storage.. So the system should be compatible to this future requirement. Is JA Solar – JAP6-72-310/3BB is good in quality and durability and longevity? Is there any difference in productivity between 260 watt panel and 310 w panel? What is the main difference between Enphase M215 and M250 ? I’d love to know your thoughts on these as I am having trouble deciding and finding information. Q. Is JA Solar – JAP6-72-310/3BB is good in quality and durability and longevity? I’d be happy with those on my roof. Q. Is there any difference in productivity between 260 watt panel and 310 w panel? A. Yes! The 310W panel will give you 20% more power per panel compared to a 260W panel. Q. What is the main difference between Enphase M215 and M250? Could you also please tell the which quote below is the best in terms of value with money.? Is these quotation amount reasonably ? What is the current market value of STC ? What’s your recommendation for Metro solar as a Installer? What is your opinion please on Renesola Vitus ll multcrystalline panels, and the Fronius Galvo inverter, which are being offered to me by Solargain. Good Tier 1 panels, and the Fronius inverters are one of the best around in my opinion. They are both well supported with Australian offices too. I can’t really comment on Solar Engineering as I have no experience with them. Q-Cells REC, Canadian and Trina are all good Tier 1 panels. SMA and Fronius are both excellent inverters. Hi Finn,in 60 days ,i am planning to get solar panel installed by Braemac energy here in Adelaide.5 kw, Inverter SMA sunny TRipower stp 5000TL 3 phase for 18(280W) Monocrystalline solar panel from Benq Solar,for about 9k. – is this price reasonable? – is this gonna perform well for a better result or efficiency? – is this company well reputed as I don’t know any bad think about it? – why not using Single SMA inverter? but TRI POWER? – is it ok to face all panel at north? – can I go with True value who offer me 5kw for 5K, 23panel polycryst with ABB 5kw string inverter? – which one will work better? This include all things ,except meter import export cost from SA power. Email me please to the above to give a boost on my decision before any mistake ! That is a good inverter and good panels. It should work well if you have no shading. I’m assuming you are getting a SMA Tri Power because your home has 3 phase power. I personally would not go with True Value based on stuff I’ve seen and heard. Also don’t get a system if you don’t know the panel brand. The price is fair for a well installed good quality system. I always recommend getting multiple quotes from good installers though. Generally it is OK to put a single phase inverter on one of the 3 phases – but check with your local installer for local network rules. It is hard to decide on the good quality and affordability. -Could you,please tell me what inverter is best: Fronius,SMA? – are these panel good: CSUN250-60PA for 5 or 6kw? Fronius and SMA are both excellent. Can’t really choose between them. Sunpower are the best – but super expensive. Canadian, Jinko or Renesola would be my panel choice. CSUN are OK, but I would class them as Tier 2. I’ve never heard of them – so be careful – probably Tier 3 (or 4!). They are probably Tier 3 or 4 as I have not heard of them. We’re looking at a couple of different options and would like your recommendation of which would be the best. 1. SMA 5000TL invertor with 5Kw Zeus Appollo tier 1 panels for $6990. 2. Fronius Symo 5.0 invertor with 6Kw ET-P660 panels for $6150. 3. SMA invertor with 5Kw Jinko panels for $7144. I’m a great believer in buy cheap buy dear philosophy so I’ve discoiunted anothr quote from TruValue Solarwhich was under the $6k mark for ABB Aurora invertor with 5.2Kw Hanwha panels. Plus there seems to be a lot of negative press with this company! I’m edging towards option 2 at this time. I personally don’t consider Zeus Apollo a Tier 1 brand. I’m happy for someone to correct me on that if they’ve got data. Option 2 is very good hardware – as is option 3 – but the price makes option 2 look like a great choice. I feel better having picked your recommendation! Happy to have found this site thanks.I am about to add some more panels to my existing 24 volt stand alone system.The present system has 8 Sharp 175 watt 72 cell panels and I am looking at adding another 8 x 200 watt panels.The panels my local installer has quoted me on are Simax @ $1750 for 8 panels,Trina @ $2750 for 8 panels and Daqo @ $2320 for 8 panels.What would be the pick of the bunch in regards to quality and future warranty.The Simax look good for the price but are they a good panel and good stable company for future warranty claims,I am aware they are a tier 2 brand as apposed to Trina a Daqo being tier 1. Simax are one of the better Tier 2 brands. I know a number of installers that really like them and have used them for 5 or 6 years now. Trina and Daqo are both good T1 panels, well supported in Australia. Trina probably have the most established presence in Australia. I spoke to a local installer recently who has used the Simax panels and has had no problems come back with them but he said the quality control over the assembly might be a bit off.The panels he installed on a few homes were all alittle irregular with their sizing and a bit trickier to fit.Besides that they may be worth a go for the price. One more thing sorry.I have also been quoted on some Zeus Appollo 200 watt panels,have you had any experience with them or heard anything about them ? $14k for a 5kW system is beyond ridiculous. Don’t do it. You can get a great 5kW system got $8k with Tier 1 panels and top-end inverter. Avoid GY panels – they are not Tier 1. I’d go out and get some more quotes. Demand Tier 1 panels and a good inverter. Actually you can get a quality/premium system cheaper than $8,000. Most of my quotes for a 5KW with Trina panels and a SMA inverter, full fitted paperwork,connection and bidirectional meter was between $6,400 to $7,300. I did have one strange quote .the guy rolled up went straight to my meter box,came inside and sat there , I had to carry the conversation to get the price. I queried the guy did he leave out the STC’s ? man he must hook a few fish occasionally but not me. Seeking guidance on an offer from Euro Solar for a 5kw Solax inverter and Amerisolar AS-6P30 panels. Any good or bad reviews/feedback on these would be appreciated. Finn, wow. All this info. Your a legend. can buy 30 silex 250w panels used for about $120 each- Is this a bargain? Hello Finn. What is your opinion about Opal panels launched by Solar Juice and manufactured by JA Solar? I can’t really discover too much about these panels or the companies involved or even the real country of origin. The implication in self-praise advertising appears to say that they are an all Australian product. Can you elaborate and set me straight about these products? I’m fairly sure the Opal panels are manufactured by JA Solar in China. JA Solar are a good Tier 1 manufacturer. They are not made in Australia! Wow…I am totally blown away by all the info ..
Great work Finn..thanks for helping us non tech savvy people. I have a quote to replace my 12 Conenergy panels with 14 Canadian Solar panels. I have a near new Fronius 3 kw inverter.So that is staying. Already have the meter installation. The wholesale price of a 255W Canadian Solar panel is about $200+GST. But you’ll get about $150 per panel back in STCs. Then they need to be installed (and the old ones removed). And the installer needs to make a profit to cover his overheads and still come out in front. I don’t know what is involved in replacing your specific panels – so can’t comment if the price is fair or not – sorry! Got quite a few quotes and are looking at going with my mid range quote who also seemed to know what they were talking about the most. Just wondering if this is a good unit and price. Jinks are good, Tier 1 panels. Zeversolar are one of the better budget inverters. But they are a budget option – so don’t expect it to last as long as a Fronius or SMA or Delta. May be worth a few hundred $ to upgrade the inverter. OR upgrade the warranty on the inverter to 10 years if possible? I have been quoted a Sungrow inverter and GCL-P6/60250 panels for a 5Kw (3-phase) system. Just wondering if this is a good system from your perspective? Sungrow are one of the better budget inverters and seem to be well supported in Australia. Try and get a 10 year warranty. It will certainly do the job – but the budget inverters are unlikely to last as long as a premium brand like SMA or Fronius, which would cost about $1,000 more. GCL are an international Tier 1 silicon and solar panel manufacturer. I’m not familiar with their panels. My main reservation would be that I don’t believe they have an Australian office? So warranty issues may be harder to resolve. There are lots of better known Tier 1 panels in Australia with local, well staffed offices like: Trina, Yingli, Jinko, Canadian, JA Solar, Suntech, Hanwha, Renesola, ET Solar which may be a lower risk, and similar price. I’ve also just been notified that there are some really dodgy looking 250W GCL panels around that may be rebadged (i.e. fake). I would not take the risk personally. We’re just starting oursolar adventure, and are already getting very confused. We’ve been advised that our consumption suggests a 6kw system. From my understanding the only thing that really separates these quotes is the Phono panels have twice as many bypass diodes, and therefore should be able to tollerate bird-do better than the others. Given they are all Teir 1, Pmax 0.4ish% they should otherwise operate pretty similar. Do you think the 6x bypass diodes is worth the higher price, or is company 3 offering a real bargain? Bypass diodes cost about 20c each (literally) – and you are unlikely to notice if you have 3 or 6. I’m guessing the last quote was not through my website! The choice of inverter is even more important than the choice of panels – as it is the component that will fail first. So don’t discount that. $8,000-$9,000 is about right for a good 6kW system. But how do they know you need 6kW? The B&B is their most popular Inverter, and I have heard there’s not much between a good Chinese vs a European inverter these days. I have read through the spec sheets, and to me they’re much of a muchness, but it’s all double dutch to me. Do you think a Fronius would be worth the extra $800? BTW we were quoted a 6kw system because our consumption averages 28kw hrs/day. The quality of the inverter is super important – it is almost always the component that fails first. Personally I would pay the extra for a Fronius. They are a much better known inverter than the B&B – which is a fairly obscure brand. I would expect the Fronius to outlast the B&B, and I know Fronius are very well supported in Aus. Excellent stuff you are doing for us non-techies. As suggested by you (via website) I have obtained 3 quotes for a 3Kw system. All include the necessary metering and warrantys that you insist on, so what would your pick be? All those panels are good Tier 1, not much between them. Trina are the biggest manufacturer out of the 3 so you could argue that they are the lowest risk. The Schneiders are good inverters, probably more reliable than the Zeversolar. Hi Mr.Finn, Im from Doha Qatar. 1. Renesola or canadian solar or Trina or Suntech or Sunpower or JA Solar? Which is the best solar? I was planning for Renesola,Is it ok? 2. We have requirement of solar for 2 villas : Capacity required for both villa is 15KW. Case 1: villa is inside the city and has the government power supply, we need to get 12 hrs backup through solar. Case 2: Villa is in the outskirt of city, we need standalone offgrid type, no government power supply. we need to get power for 24hrs from the solar alone. How do we calculate the Panel requirement and Battery Requirement.? The best panel on that list is SUnpower. It is also about double the price of the others. All those other panels are good IMHO, and should be a similar price to each other. Trina, Canadian and JA solar would probably be my shortlist. Just not sure with inverter to be honest. CSun seem to have dropped off the latest Bloomberg Tier 1 list. SO perhaps another T1 panel may be a better bet. I have no idea what that inverter is! Price quoted was $6900. Installation on a 2nd and 3 levels of a 3 story townhouse. Thoughts on the specs and price? Just hard to compare apples to apples because I haven’t come across anyone else that has gone for the enphase monitoring. That is quite an expensive 3kW system, even for Enphase. Although with the tilt frames and 3 storey house – that does make the installation a lot more expensive. From what I’ve heard, I’d avoid them personally. Whats your opinion of HT 260w panels ? Hi Finn, We have got a quote for a 5KW solar system with opal solar panel & SMA 5kw Inverter for $5100 (excluding connection to the grid & metering). We have also received another quote with 4.77 Kw Trina solar panels + 4.6w Simes Inverter for $ which includes connection to the grid and metreing. Which one of this priced reasonabley. Your response would be highly appreciated. Opal panels and SMA is a good combination. Price seems very competitive for that hardware. Not sure what a Simes inverter is – and you missed the price out – so can’t comment on the 2nd option! Thanks Finn for the quick response. Very much appreciated. Your advice is much awaited. Option 2 is the budget option – with a budget inverter and non-Tier-1 (but still pretty good) Opal panels. It will certainly do the job, but the inverter is more likely to fail after 5-10 years. Trina would be my favourite panels there – and the Fronius is one of the best inverters you can get – with a 10 year warranty as standard last time I checked. Hence the premium price. But you pay a premium for micros as you can see. Hi Finn, We have two different quotes: Both 5kw systems. One is Jinko panels with a Fronius Symo 5. 3 phase inverter (as I have three phase) for $5,900 and the other is HT panels with 2 delta inverters (ie using 2 inverters instead of one tri phase) for $5,300. Thoughts on which is better value? The Deltas are good mid-range inverters and the setup on 2 phases will work fine. Fronius are a top-end inverter and the 10 year warranty is worth a lot. Both these companies are no longer contactable and I’m worried about honoring warranties. I know nothing about solar and went of recommendations from friends and work colleagues. My quarterly bills are around $500-$600 and initially we were getting around $500 credit with the 44c government rebate but now it has dropped to 6c the system is virtually worthless, getting us $80 a quarter rebate. I was never aware of the tier ratings in fact I know very little about solar even today and have read so much I’m more confused. I’m now considering a battery installation so that I can hopefully completely do away with my bills but I’m scared of throwing more money away. Any advice / recommendations would be appreciated. If you want to save money, batteries will not pay for themselves yet. Give it a few years and they will be much cheaper and will make sense. Then I would investigate why you are no longer getting your 44c feed in. The QLD 44c tariff does not expire until 2028. Thanks Finn, I upgraded my original system and by doing so I was no longer eligible for the 44c rebate. I will check out the links you provided, really appreciate the advice. So great to see your site with all this info about solar, I am a novice but like to know what I am buying and just generally have some awareness of quality and pricing. I am choosing between a couple of quotes with similar products. I would like to know what you think between the Trina Panels and Phono Daimond panels. And the Fronius Primo inverter and the SE5000RWS inverter ? Also Solar edge DC optimisers are they necessarry ? Would sunpower panels need optimisers?? I’d expect to pay closer to $6k + meter upgrade if it is a straightforward install and Chinese Tier 1 panels + good inverter. The Sunpower+Fronius quote would be my choice out of those – as Sunpower are absolutely excellent and do command a serious price premium. Unless you have shading or a complex roof, paying the extra $2k for optimisers is unlikely to be economical. Thankyou for your reply Finn, Ok maybe I will go for the sunpower panel quote, without optimisers. Although my house loses the sun more early and I get it the sun a bit later as I live down the hill near the river. So do not get maximum sun for the whole day. Do you think I should get the optimisers in my case, or I can always see how it goes and get them later down the track. ?? Louisa, it completely depends on the characteristics of the shade. Optimisers are a pain to retrofit on panels that have not been designed for them so I’d get them installed at the outset if you have shade across the panels for some part of the day. You can buy ‘Smart’ panels from Trina (and others) that have optimisers built in. They are excellent panels and may be worth considering if the cost of adding optimisers to SUnpower is prohibitive. Thank you for your website and organising the quotes. My two preferred quotes are quite different in price and I am not sure why. We are looking at a 5kw system. 1. 19 x 260W Trina Honey Panels and 1 SMA500TL-21 inverter $6950 fully installed. Cost is not the ultimate decider I would prefer the best product as it is a long term investment. Both those options look really good from a hardware point of view. The Q-Cells panels are probably a little better that the Trina. Not a lot in it though. You’d probably not notice much energy difference in the first 20 years! Fronius and SMA are the 2 top-end inverter brands. Fronius comes with a 10 year warranty which is a bonus. But SMA can upgrade their warranty to 10 years for a few hundred bucks. Personally, I’d struggle to justify the extra $2k for the latter option. What do you think of GCL vs Jinko panels? I am planning to install a 5kw system and have quotes pairing these with a Fronius Primo inverter. The GCL one came in at $4399, and the Jinko one at $4999. Are the Jinko ones worth the extra $600? The Jury is out on GCL panels’ longevity, so personally I’d go Jinko. Thanks for your web site it helps to clarify the jumble in my head from all the quotes. I have had a few quotes all 5kw with a fronius inverte. The LG panel system comes to 5.13 kilowatts for a cost of $1.33 per watt. REC TwinPeak panels are 265 to 285 watts. This means 18 of them could come to only 4.86 kilowatts and cost $1.27 a watt or they could be up to 5.13 kilowatts and cost $1.20 a watt. The Seraphim panel system comes to 5.2 kilowatts for a cost of $1.15 a watt. They are all tier one panels, so you are unlikely to have problems with any of them, but the LG panels are the best. However, they are the most expensive. Their product warranty is 12 years while the other two have 10 year product warranties. REC TwinPeak panels tolerate partial shade better than the other panels, but if they are installed in a shade free area this won’t give much advantage. Neither REC nor Seraphim have offices in Australia so the importer of panels will be responsible for their product and performance warranties. Fronius is a great inverter. I would say these are all good systems. The LG panels are the best, but you will have to pay extra for them. The REC TwinPeak panels could be best if your roof has shade. And the Seraphim system is the lowest cost option. Hope this helps, but if anything isn’t clear, let me know. We are near the beach 450 m so wonder about the need for panels which are salt corrosion resistant !! But note their sample size is extremely small so while this is evidence of how well the panels compare it is not possible to be extremely confident about the results. If you are more than 200m from the sea you are probably okay, but it will depend on local conditions. Can you occasionally taste salt in the air where you are and is there more rust on buildings and metal items than there is further inland? Almost all tier one panels are corrosion resistant, but Trina Honey panels may not be, as they don’t claim to be corrosion resistant and I haven’t been able to find any certification that says they are. I hope you have an excellent installation that will be trouble free for decades to come. Many thanks for your great input and insights in the world of solar. We have a 1.5KW Suntech panels with a SMA Sunnyboy inverter installed about 5 years ago. We have expanded our home and need to increase the capacity of the solar panels and got the following as one of the options for a 3 kw system with microinverter as additional – 270JKM(Jinko Tier One Solar panels) with Enphase 230 microinverter. We have already installed the smartmeter through our service provider being an existing solar panel user. . I understand that this II system is battery ready so that we can have that option once battery prices fall. We have single phase electricity at home. Would appreciate your thoughts on the II system we are about to confirm as the preferred option and any other points we may need to consider. Hello Ram, Ronald here. Jinko panels are reliable and Enphase microinverters are possibly the most dependable inverters available. Generally speaking, I would say it is not worthwhile to do more to prepare a system for batteries that may be installed in the future. But there will be many smaller systems on the market, so your 3 kilowatt expansion may be fine. hola que tan buenos son los paneles solares Zhejiang BLD Solar Technology CO.,LTD P72PCS-270W 265W 260W 255W Product Specification y que gama son ??? BLD Solar no está en ninguna lista de fabricantes de nivel uno que tenga. Normalmente recomiendo usar paneles de nivel uno para que pueda estar seguro de que serán confiables. No estoy familiarizado con los paneles BLD, pero mirando una hoja de datos para uno veo que dan la eficiencia de la célula en lugar de la eficiencia del panel que creo que es engañoso. Su coeficiente máximo de temperatura de potencia es peor que el promedio y son más pesados ​​que los paneles normales. BLD Solar are not on any lists of tier one manufacturers I have. I normally recommend using tier one panels so you can be confident they will be reliable. I am not familiar with BLD panels, but looking at a datasheet for one I see they give cell efficiency instead of panel efficiency which I think is misleading. Their max power temperature coefficient is worse than average and they are heavier than most panels. I am going around in circles and can’t settle on a company. Your feedback would be much appreciated. I also have a pool, air-con and waterpumps. It’s easy to compare the hardware because it’s all the same brands. Fronius is a high quality inverter. CSUN panels are not tier one. They used to be tier one, but the company ran into financial difficulty. Despite this, they should still be of good quality and come with third party insurance that covers them if CSUN is unable to meet its warranty obligations. Thanks for the info and super quick response! Do you have a opinion on companys? Both Trina and CSUN have 10 year product warranties. I’ve just received a quote from “Arise Solar” – a company that seems to get mostly excellent reviews with a few terrible ones ..
X1-Boost Solax3 Inverter – which they say is 5kw .. but looking at the spec sheet, its a 3kw inverter? I have a terracotta tiled two story roof which apparently complicates the install .. So – is this a good deal or is there anything about arise solar that I should know about before proceeding ? A company that is selling the cheapest systems isn’t likely to have the resources to provide good after sales service if you have a problem. Insisting you claim the STCs yourself is unusual. I don’t approve of making customers do this unless they want to as the installer can get through the paperwork quickly while the customer generally doesn’t have a clear idea of what they are supposed to do. I’d be a little more concerned than usual because Amerisolar panels were removed from the approved list of solar panels last year by the Clean Energy Council. They appear to be back on the list now and it was a result of quality problems with the panels, but it would still be enough to make me a little wary. It’s unlikely there would be a problem with getting STCs for the panels but personally I’d wouldn’t want to have to worry about it. Thanks for your reply Ronald .. I did think it was odd that they made the point that I would have to apply for the rebate myself .. Will look into this all a bit deeper .